Is there a formula or a template that a newbie blogger can follow? Today I’m going to answer that question. Your Title: Write something that will ensure your audience wants to read further. What’s in it for them? What are they going to learn from reading your content. Compelling headlines can sometimes start with “Discover…”, “Tips to…” or “Your guide to…”. In the case of my title today, I’ve stuck with the concept “It does what it says on the packet”; this blog post will quite simply help you write a blog post. Given that I’m targeting business owners and professionals who are keen to begin blogging, just starting out in their content marketing or want to ensure that they’re on track, I’m hoping that this title was clear enough to make you read further. As an aside, just like writing a media release, I sometimes find that the perfect title comes after I’ve written the body of the article. Your Introduction: Your post should answer a question or address a specific need that your audience may have. Your introduction should serve to ensure your readers know the value of your post, and what they will learn from giving you their time and attention. I find that starting my blog with a question helps to identify the problem that I hope to solve. Your Body: Now that you’ve identified a problem for your reader, it’s time to provide your solution. Most effective blogs will follow one of the formats below. The “List” Post – In case you hadn’t guessed I love this type of post… I believe it makes the more scannable. Bear in mind that we read differently on a web page to how we read a printed page, and therefore you need to adapt the way you write your copy. Make it easier for your readers to view their progress. The “How” Post – This shares valuable, practical information with your reader, teaching them how to do something for themselves. I’m using a combination of both of these first two types of post in this blog article. The “Why” Post – This type of post should be used when you’re trying to draw attention to the importance of a topic. Be sure to back up your argument. For example, if I was writing a blog post titled “Why your business should be on Instagram”, I would have statistics on demographic usage of that social channel, and reference industry reports that show user engagement on Instagram. The “Rich Media” Post – This post will feature a shareable asset like an infographic or video. The “Q & A” Post – You might use this format if you’re interviewing a client for your blog to demonstrate a success story, or if you are featuring an industry expert as a guest blogger. The “Personal” Post – Now I’m not suggesting you get too up close and personal, nobody wants to air their laundry in public, but stories sell. Telling a story about a personal experience that has lead you to write the blog post will engage your audience, allowing them to connect with you. Just remember the golden rule…. “It’s not about you”; there must be a moral to the story that will benefit your reader. The “Entertainment” Post – Sometimes you may just want to entertain your audience. I wouldn’t recommend these until you’ve built your audience; they can often be misconstrued as self indulgent. If there is a time and a place for a light-hearted, fun post I would suggest a Friday afternoon or public holiday when your audience may be settling in to cruise mode. Your Image: A picture paints a thousand words, so choose something that fits your article, but also reflects your brand. Use images that you have captured or created yourself; or that you have paid for and downloaded from a stock imagery site. Please don’t just use an image that you have found on a “Google” image search. Often the resolution will have been compressed, so you’ll end up with a tiny or grainy image; but more importantly you will most definitely be infringing another person’s copyright or intellectual property. The exception to this is infographics where the creators are often happy for you to share (and even provide an embed code), but please credit the creators if you do use these. Your Conclusion and Call to Action: Like all good articles your post needs an ending, and this should include what you would like your reader to do next. Remember you need to lead your prospects gently by the hand to comment, contact you, connect with you, purchase your product or service. Tagging, Categorising and Keywords: Blogging platforms will allow you to tag and categorise your posts. This makes it easier for your reader to find other content they may be interested in on your blog, and it helps the search engines to find your relevant content. Publishing and Extending Your Reach: Once you have published your blog post on your own website or stand alone blogging platform. Please re-purpose and reuse that blog content through your social channels, and allow your readers to do so as well, including social share buttons will make it easier for them to do so. So there you have it… A blog post to help you write a blog post. 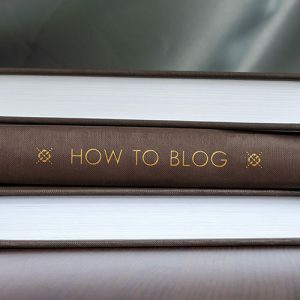 Now don’t feel that you have to follow this rigidly, after all your blog is exactly that… “yours”, and you will develop your own style and more importantly your own voice. If you do have any further questions please feel free to contact me. If it all seems like too much, and you’d really rather concentrate on what you do well, your day job, please remember that content marketing (writing blogs) is a role I perform for many clients. Or if you have a blog written and you would just like it tightened up and tweaked, please send it to me as a word document, and I can do that too. Please connect with me on LinkedIn or Facebook, to leave comments on this article. If I’ve convinced you to get your blog on, but you literally don’t know what to write about then Sign up to my newsletter (visit my home page) and I’ll send you 10 Top Tips to Inspire your Creativity!